Software project management is a crucial element in successful software and IT development, and requires students to develop an understanding of technical methodology and an appreciation of the many human factors that can play a part in software projects. 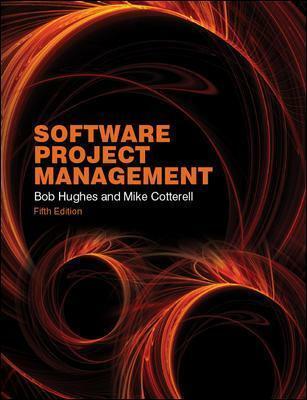 The new fifth edition of Software Project Management has been fully revised and updated to help students to grasp these contrasting skills, and learn about new developments in the discipline. It provides both undergraduate and postgraduate students with a comprehensive introduction to software project management and has enjoyed a loyal following of users since the first edition published. After a career spanning both industry and Higher Education, Bob Hughes is based in the School of Computing, Mathematical and Information Sciences at the University of Brighton, UK, as Programme Leader for Undergraduate Computing Degrees. He is currently chair of the course providers accreditation panel and also an examiner for the ISEB Project Management Certificate and Diploma. Mike Cotterell was formerly a Senior Lecturer in Information Management at the University of Brighton.